This entry was posted in Downtown, Local business, Media and tagged Bleecker Street, New York Times, Savannah Bee Company, Savvy + Grace, Serena & Lily, The Brownstone Westport, Westport Main Street. Bookmark the permalink. Once the mall at X 14 in Norwalk opens, those building owners holding out for sky high rents on Main are gonna’ get a lesson in the evils of avarice….a lesson well deserved. I agree with you Mr. Katz, but I fear that the greatest damage will have already been done by then and it will remain for the rest of us to clean up the wreckage of our downtown as, in the time honored tradition of absentee landlords everywhere, the majority of these owners will blithely ignore any “lessons” and unceremoniously decamp for newer, greener pastures. Would love to see more unique, curated stores. Really miss the fro-yo shop too. I 100% agree Dan!! When we moved to Westport, Main St was a very different place- a real hub for Westport. Grocery stores, a movie theater, restaurants, book shops, coffee shops, a hardware store and, of course, Oscar’s Deli!! Not many chain stores. I hope it can go back to something more like it was. Now, with a new mall opening only a few miles away, would be a good time to rethink Main Street. Other towns even have fun shopping nights around the holidays with refreshments and good ole holiday spirit! Come on Westport! Main St is too special to lose!!!! Fingers crossed that the flooding problem is solved. The most committed retailer can’t do business from flooded premises with damaged stock. Canaan, Darien, Ridgefield) because there’s a sense of community, privately owned stores and shops where people have connections, a curated experience and a sense of community. No matter how you spin it, Westport has been invaded by massive developments jammed right into the heart of town. Couple this with massive property transfer amounts, sky high rents and a flooding problem and you’ve got a real issue that won’t resolve itself easily. I agree, I have a family member that just opened a store in New Canaan (after a successful store in Darien), and I asked why not Westport? She said exactly this- few private boutiques, unrealistic rent expectations, mall/sterile environment, less foot traffic (especially from engaged locals), and major flooding concerns. 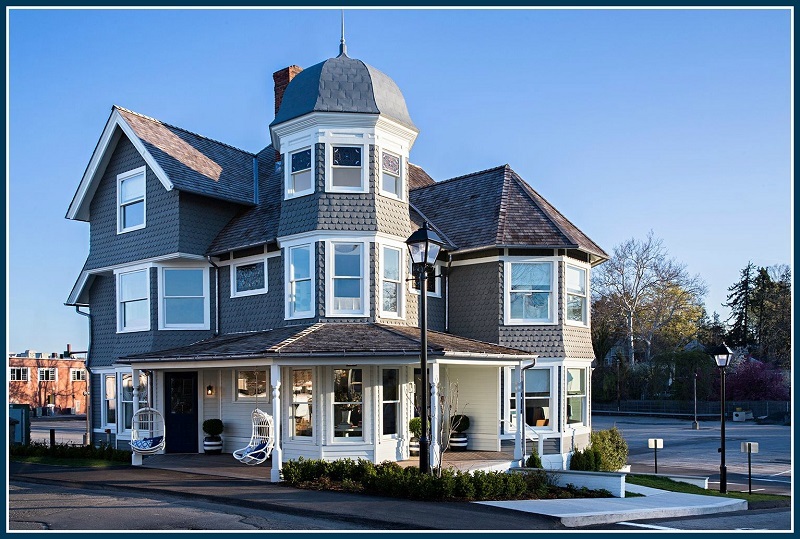 Darien, Greenwich and New Canaan all have some corporate stores, but find a better way to blend them in with interesting shops & restaurants than Westport does. Main street Westport has no soul anymore and it’s a shame because it was one of the things that led us here in the first place. Im a free market person but for some reason there must be loopholes in the tax code the encourages the Lanlord to keep these locations empty?? I would think some rent would be better then no rent??? Time for eminent domain for the good of saving Main Street??? The “new” Bleecker Street sounds delightful. Now all we have to do is get the Main Street landlords to cut their rents in half, and Main Street might have similar results. Main St. has no identity. No sense of community. Just come and spend, spend, spend. No Remarkable Books. No Atticus. No place to gather, browse, sit and talk. You have to go to Capri Cafe in Norwalk, Las Vetas in Fairfield to go back in time to Cafe Borgia on Bleeker and MacDougal. But it’s gone, too. Main Street is history. Starbucks is a cold chain replacement. The Serena and Lily House turned out gorgeous! I would shop there. Here’s hoping that Westport’s Main Street totally gets its mojo back. It was one of my best memories of Westport. Seems like your on the way back to that hometown feel on Main. Christmas shopping on Main was always the highlight of the season. It was as good as it gets. And come check out the new tasting room for Field Trip Jerky – 15 Post Road East. Another Brooklyn company that has migrated to Westport. I am so tired of everyone complaining about the chain stores as if they are evil. The stores wouldn’t be here in Westport if residents didn’t support them. I work part time at a store on Main Street that is mainly staffed by local women that live in our community. The majority of our associates are longtime residents, they have raised families here, they have volunteered in schools and with local organizations and are your neighbors. Although a chain store by most standards, we are very connected to the community. In fact, our store has a Community Coordinator whose role is to connect with the residents of Westport. One example that demonstrates our commitment to the community is hosting free exercise classes several times each month showcasing local fitness professionals. I am proud to work with such an amazing group of women that are an asset to our community. I had a pleasure of being on a receiving end of these women’s warmth and attention many-a- times, and have felt and appreciated that connection to the community greatly. When I was a kid growing up in Weston, we used to hitch hike to downtown Westport and hang out. There was nothing much to do in Weston, and Westport had all the cool stores and Westport Pizza. When I turned 15 we moved back to Westport and I have nice memories of walking over the bridge to downtown and spending hours just wandering. Visiting Sally at Kleins, Edna at Functional Clothing, The Remarkable, Selective Eye, there were plenty of places to go that were fun and interesting. There were lots of great places to grab a bite that were affordable, even to a kid…Concerts on Jesup Green, the old library, Open Line and the park on the corner…Little by little all the cool stores closed to be replaced with chain stores we could no longer afford. By the time I moved away in 1990, downtown was like an open air mall. The same stores you would find in a mall, with no uniqueness…Glad to hear there is hope that Main Street Westport can go back to the way it was, and be a destination full of affordable choices, and unique shops! Here in New York City, one of the problems we have is that landlords can take a tax loss on an inflated value of a vacant commercial space. Example: push out a tenant who is paying $5,000 a month by raising the rent to $15,000. Then leave the store empty (assuming Starbucks or Chase Bank doesn’t want the space), and get a huge tax break on the $15,000 figure. Proposals exist to do just the opposite: make landlords pay a penalty tax on every empty storefront, thereby forcing them to rent it no matter what. These are tough issues! The only deductible expense on a vacant investment property is the actual expense of running the property. lost rent is lost income never to be claimed or seen ever. There are few logical reasons if any for keeping space vacant. Well put. I never visit Main Street. What for? Sad, really…I miss it. There is perhaps an interesting parallel between your story and the video you posted. By the way, thanks for posting that. “Bleecker Street” is one of my favorite Simon & Garfunkel songs and WEDNESDAY MORNING, 3AM was a wonderful debut album. But, even with significant promotion by Columbia Records, the album had dismal sales. Paul Simon was naturally discouraged and then headed off to England. And while he was gone, a Columbia producer reworked “Sound of Silence” and did an electric version of it after seeing how the Byrds did so well with their electric folk rock. And the rest, as they say, is history. Seth Kent…thanks for the attachment. We’ll look at it the issues it raises and see where our regs are aligned…or not. 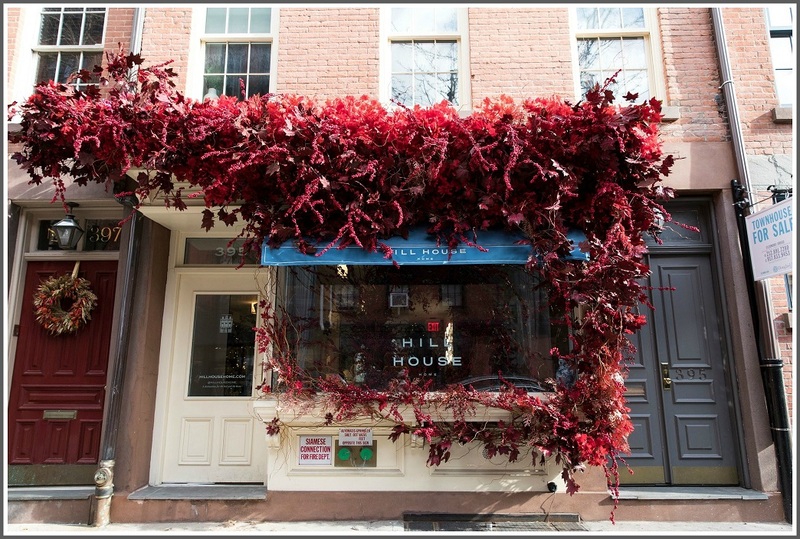 Celeste, Mariana and I thank you for mentioning The Brownstone in your blog. We opened on Main Street in 2007. Since then we have managed our way through The Great Recession, flooding from Storms Irene and Sandy and a one block move north to our current location at 142 Main Street. and Bespoke Design, to name a few. All are wonderful resources for Westport residents. Well put, Victoria. But of the stores you mention — and many of them are great, unique and well worth visiting — how many are actually on Main Street? That was the point of the story: Main Street itself, not the Post Road, Sconset Square, Playhouse Square, or Riverside Avenue. Thanks, Victoria. Shoes & More recently moved to Playhouse Square, though! Landlords have to realize the days when they can keep increasing rent is over. How many stores go out of business because the landlord raises the rent to unaffordable levels and no replacement tenant is found? The internet has changed the equation–the choice is vacant property or lower rents. It might be hard for landlords to accept, especially those who overpaid for the property with the expectation/necessity of charging higher rents for the economics to work out, but keeping property vacant just adds to losses. Another Great article Dan, Thanks! Interesting side note; in the NYT Article, The Return of Bleeker St, Westport’s own (and ex Staples student) Matthew Scanlan is quoted at length. He is helping spearhead the comeback of Bleeker St with his Cashmere Clothing Co NAADAM, for which he also was named to Forbes 30 Under 30 last year. Another talented Westporter making a mark with creative thinking, outside the box. Bundle up… It’s Sweater Weather! I was wondering…what would draw folks to main street these days? Years ago as kids we went to the YMCA…hung out at sandwich shops..did some shopping..we had far fewer choices back then. Maybe someone could conduct a survey and ask people what would draw them to main street today….? Hopefully it would generate some ideas. Then again…maybe the future is a blocked off main street..a quaint residential area with a few cafes, shops and restaurants…a real neighborhood..there is an answer out there. Great editorial by the way and I wish that the landlords of Main Street would consider doing something similar. This holiday season would have been the perfect time to do some cool seasonal installations or event activations revolving around the holidays. There are so many small businesses, artisans, craftsmen, chefs, etc. who would love a temporary space for rent to showcase their wares. And then kick off 2019 with something similar to what Bleeker Street is doing with revenue sharing, etc. I am not an expert in commercial real estate and do understand that it is important to offer a variety of retailers but it appears that the only people who could afford conducting business in downtown business are corporate-driven brands. As a parent of a teenager, I wish the kids had more “simple” places to go for entertainment and dining. Saugatuck Sweets & Match Burger Lobster are great but it’s not downtown. I know they’re working on a theater but I don’t see that coming to fruition anytime soon. There isn’t a place where the kids can “hang out” downtown. How about a simple coffee shop (that isn’t a Starbucks) where there is room to hook up with friends even if it is to simply study or “plug in.” There are a few great places for sure such as Green & Tonic, Starbucks, and Aux Delices, but not a “cool” youth oriented cafe that offers coffee, fresh pressed juices, etc., listen to young acoustic bands, etc. Finally, I think it would be wonderful if Main Street could shut the street down on the weekends or even on a Sunday or on summer nights and make it like a European plaza (or like what Times Square and the Meat Packing District have done) by having tables outside in the middle of the street. Street vendors. Restaurants could extend their seating to the street or even increase their take out business so that people can dine outside at a table of their choice. Emulate a European feel. When we had Oscar’s my older daughter tuned the deli into a coffee shop and music on Thursday-Saturday nights. It was always packed, the kids loved it! Times are changing and things just are not the same. So very sad especially for the young! But as a landlord on Main Street I did lower my rents maybe some should do the same. Wish I had answers, my husband was the one with all the answers and the way to solve things! He is really missed in this community!